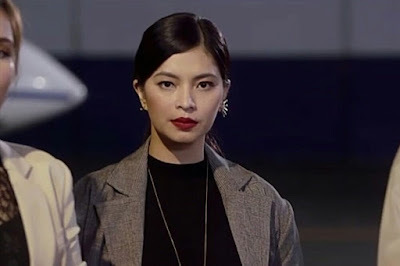 It has been two months since we endured the loss of Angel Locsin as Malia's mother, Lia, in 'La Luna Sangre.' But, everyone got shookt when she made her return to the hit primetime series. Yes, the veteran actress is back! This time, she's playing a completely new character named Jacintha, who will be Sandrino's aid for his campaign to run as the president of the Philippines. Angel's surprise return instantly made her a trending topic on twitter as she was teased as the game changer in the lives of not only Sandrino, but also of Malia, the surviving daughter of Lia and Matteo, and Tristan.